Humayun’s Tomb is the burial site of the second Mughal Emperor, Humayun. It was commissioned by his son Akbar, the third Mughal Emperor, in 1569. The tomb is a classic example of Muslim Mughal architecture, with many of the features of the tomb appear in later constructions such as the Taj Mahal. The detail which can be seen in the structure is impressive and costly. All of the windows are covered with a jali, which is a carved, geometric screen, cut from a single piece of stone. Surrounding the tomb building is a charbagh, or a four-part garden, which was the Persian style. There are also several smaller tombs which are the resting places of other servants and nobles. 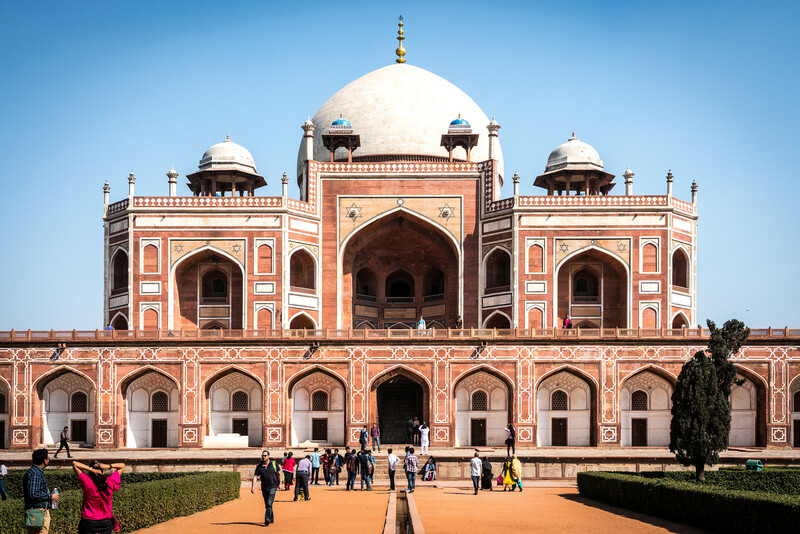 If possible, I’d recommend visiting Humayun’s Tomb before visiting the Taj Mahal, as it will give you a sense of development of the architecture which lead to the creation of the Taj. Humayun’s Tomb is a cultural UNESCO World Heritage Site in India. It is located in Nizamuddin East in Delhi and was inscribed in 1993. It is a massive tomb that features the Mughal architecture. 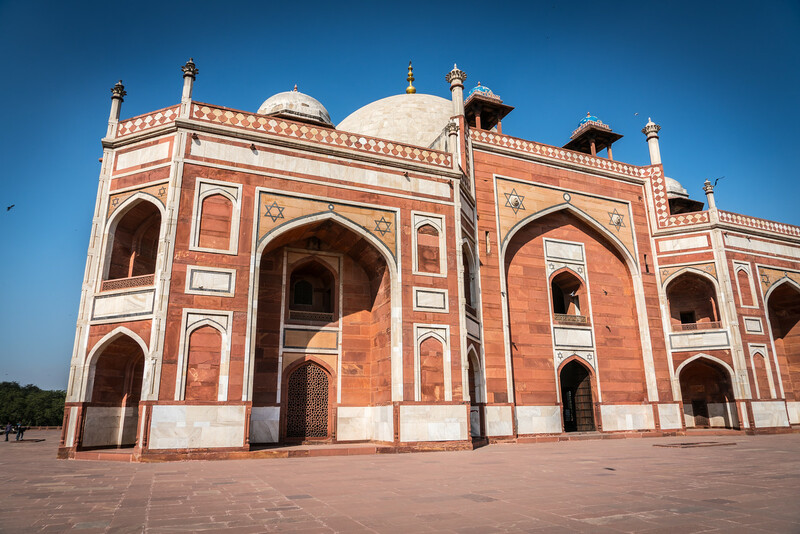 This tomb was built for the Mughal Emperor Humayun, to which the tomb is named after. It was the first wife of the Emperor who commissioned for the tomb to be built in 1565 AD. The construction of the royal mausoleum was completed in 1572 AD. Humayun’s Tomb is currently under the care and management of Archaeological Survey of India. Humayun’s Tomb was commissioned for by the first wife of Mughal Emperor Humayun but it was designed by Persian architect Mirak Mirza Ghiyas. 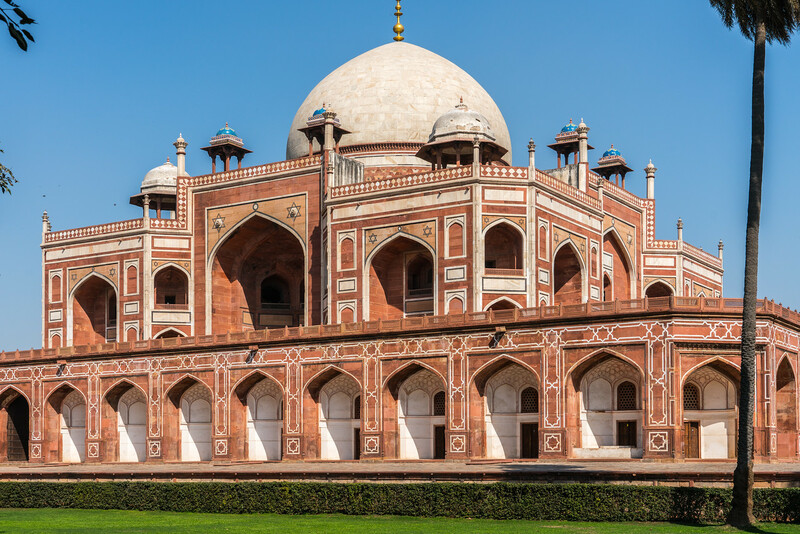 This royal mausoleum is not only recognized as a UNESCO site but was also the first garden-tomb to ever be built in India or this subcontinent. The tomb is located close to the Purana Qila Old Fort in Delhi, which was founded by Humayun in1533. 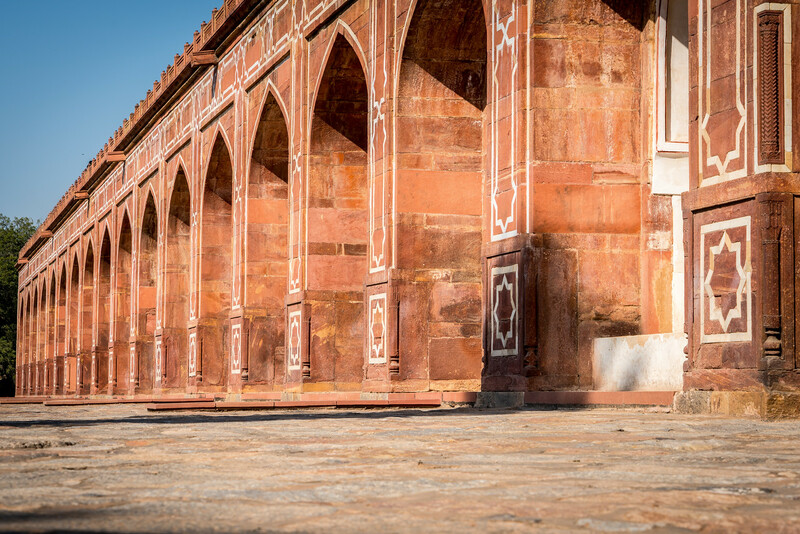 Another important distinction that Humayun’s Tomb had is that it was the first ever structure in India to use red sandstone for construction on such a grand scale. Since the tomb was declared a UNESCO site in 1993, it has undergone massive restoration work in order to preserve the structure. As of now, all restoration works at the site had been completed. The main tomb enclosure for Humayun is not the only structure that is comprised within the Humayun’s Tomb UNESCO site. There are also several other smaller monuments that are considered part of the heritage site. In fact, some of these monuments predate the tomb itself. The complex features Humayun’s Tomb as the main feature of the UNESCO property. However, it houses not only the grave of Emperor Humayun but also a few others including Bega Begum (wife of Emperor Humayun), Humayun’s great-grandson, son of Emperor Shah Jahan, Emperor Jahandar Shah, Emperor Rafi Ul-Darjat, Emperor Alamgir II, Emperor Farrukhsiyar, and more. 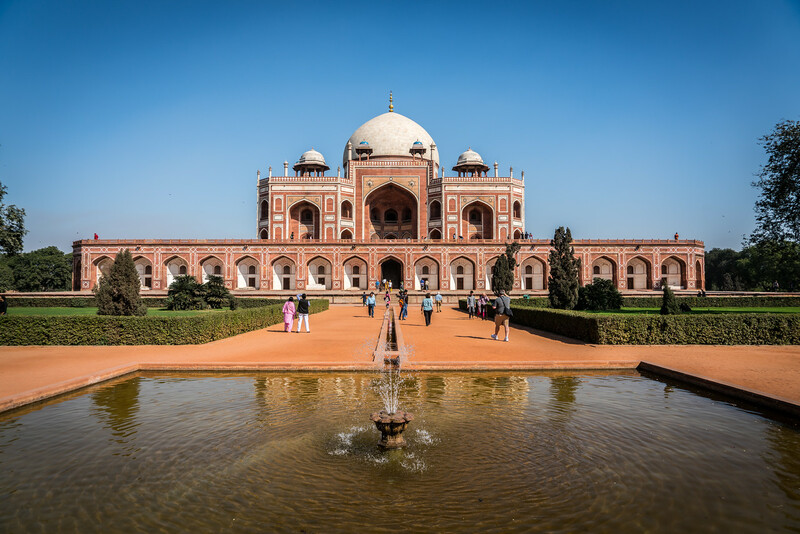 The construction of Humayun’s Tomb is also notable not only because this is where the graves of former Mughal Emperors are located. It is also recognized as a breakthrough in Mughal architecture. The nearby Charbagh garden is also recognized as it features the typical Persian garden style. However, these two structures were never before seen in India, so it has set the new standard for how Mughal architecture should be. If you want to visit Humayun’s Tomb UNESCO site, it is pretty accessible with various transportation options available. It is easily accessible from the road and is also served by the Delhi Metro. If you are traveling via train, the nearest railway station to get here is in Nizammudin. There are also several metro stations nearby that you can use to travel to Humayun’s Tomb: Jorbagh and Race Course stations. To make the most of your visit, you should go anywhere from 8 AM to 6 PM. Was just here a little while ago. Such an amazing piece of architecture hidden amongst Delhi’s many incredible sights. Great photo and article Gary. Hopefully more people will visit here with you showing them the way. Keep up the great work and look forward to your next post !